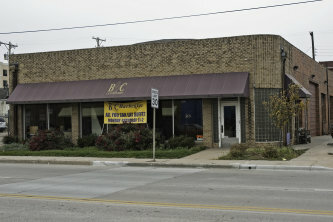 B&C Barbeque serves Old Town Wichita with the best Barbeque buffet in the area. A local favorite since 1996. Our BBQ won the 1993 Grand Champion Barbeque award and has received numerous other awards. Carey Maurer, the BBQ chef will make sure you don't go away hungry. B&C Barbeque is laid back spot for a great meal at a great price. All You Can Eat BBQ Buffet!!! Featuring Brisket, Pulled Pork, Ham, Chicken, Turkey, Ribs, Hot Links, Baked Beans, Potato Salad, Garlic Slaw and more. Lunch is served Monday through Saturday, 11:00am through 2:00pm with carry-out available until 5:00pm. B & C Barbeque offers catering for any occasion. Give us a call for your next business lunch, wedding, corporate event or family gathering. Our catering service provides an easy, buffet-style setup that will help your event run smoothly. Your guests dine on the same great food served in our restaurant and at a great price.